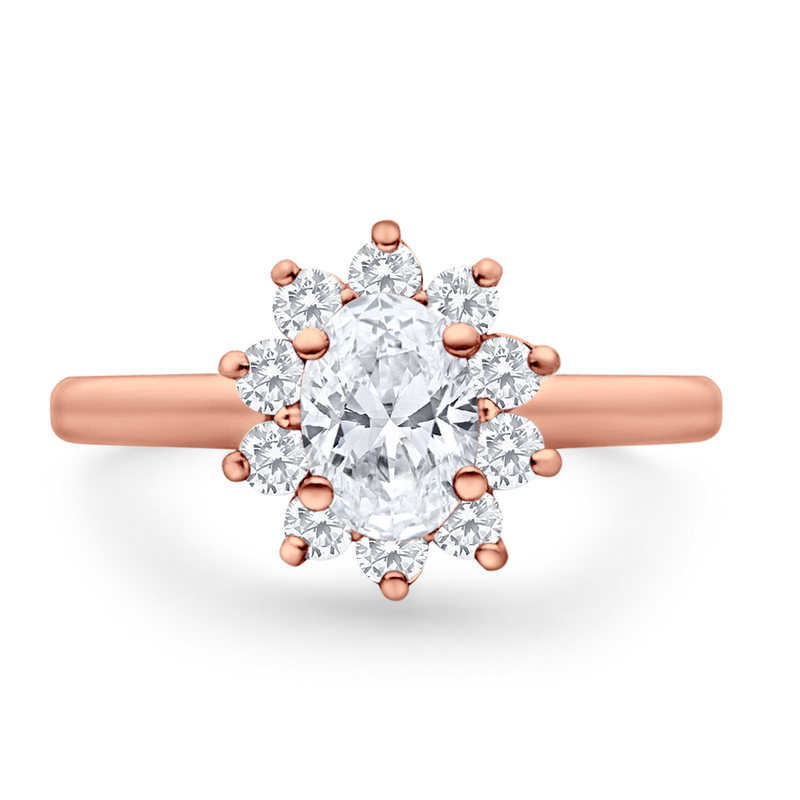 Oval brilliant diamond set in a floral halo of colorless round diamonds, handcrafted in rose gold. 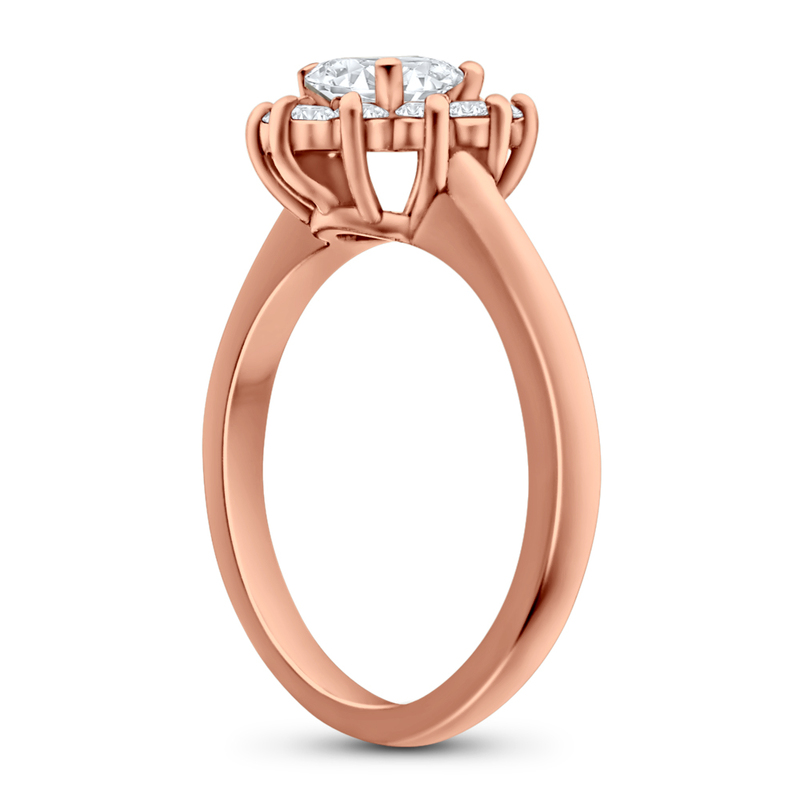 This design features a cathedral style shank with a comfort fit band. Thank you for your interest in this design. One of our Private Jewelers will get in touch with you shortly.